He is, as all fans know, a perfect 50-0 as a professional boxer, yet to this day fans point to one fighter, maybe even two, and say Mayweather deserved to lose on the score-cards. Who? Mexican tough guy Jose Luis Castillo, and Argentine warrior Marcos Maidana. So who actually came closest to taking away Floyd’s zero? Ask any boxing fan with even a little knowledge of Mayweather’s great pro career, and they will undoubtedly reply quickly, and the name they will utter is that of Castillo. For years, ever since the fight took place in April of 2002, down at lightweight, many millions of fans, and plenty of experts, have claimed the tough hombre from Mexico was robbed of a deserved decision victory that night in Las Vegas. Castillo roughed Mayweather up, he bullied him, he hit him plenty and he appeared to have outworked and outpointed him. 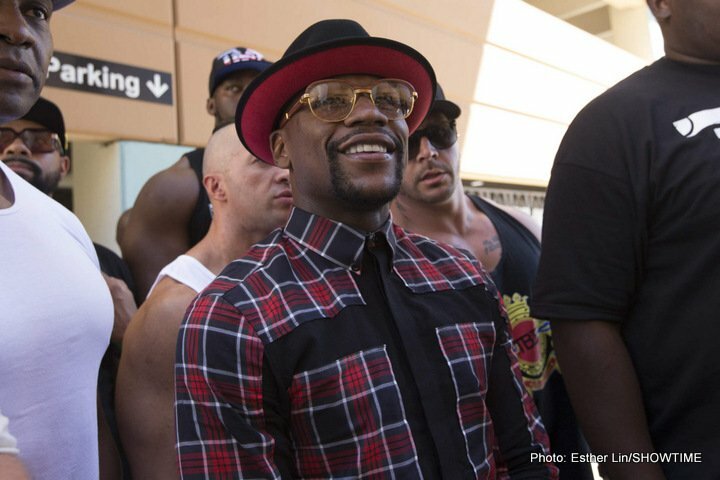 But Mayweather, who was carrying a shoulder injury in the fight, escaped with a 12-round UD. The rematch later that same year saw Mayweather adapt to Castillo’s style and approach, and Floyd won a 12-round UD he absolutely did deserve. But what about Maidana? Back in May of 2014 (four years ago to the day), at welterweight, Maidana jumped right on Mayweather and fought in a somewhat similar manner to the way Castillo fought against Floyd. Maidana certainly had his moments of success against the multi-weight ruler, but he lost on the cards. The fight was scored a majority decision, though, and Mayweather knew he’d been in a fight. Quite a few fans felt “El Chino” had punched his way to a draw. Even Floyd was not satisfied with his performance, hence the rematch. But in looking back, are we looking too hard in an effort at finding a guy who really, truly deserved to beat Mayweather and indeed did enough to have done so? What other great fighter never had a close, debatable fight that went to the wire? Mayweather beat all comers, and even if his critics insist he was a “cherry picker,” the fact that he beat such hard men as Castillo and Maidana proves Floyd was anything but. You are here: Home / Boxing News / Jose Luis Castillo, Marcos Maidana: The two fighters who came closest to besting the brilliant Floyd Mayweather?